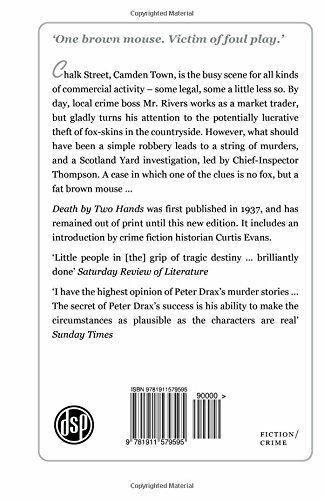 Linda Shenton Matchett: Mystery Monday: Who was Peter Drax? There were many famous people who lost their lives during WWII: Carole Lombard, Glenn Miller, Leslie Howard, and Dietrich Bonhoeffer. Someone perhaps less well-known who was killed in action was author Eric Elrington Addis. 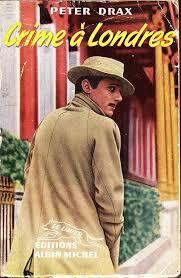 Writing under the pseudonym Peter Drax, Addis published six crime novels during the Golden Age of detective fiction. Born in Edinburgh, Scotland in 1899, Eric was the son of a retired Indian civil servant and the daughter of an officer in the British Indian Army. He attended Edinburgh University and then entered the Royal Navy. After serving with distinction, he retired in 1929 and became a barrister focusing on admiralty law and divorce. (A barrister is a lawyer who specializes in courtroom litigation.) At the outbreak of WWII, he was called back in to service and was assigned to HMS Warspite. Unfortunately he was killed in action during an air raid on the British Navy base at Alexandria, Egypt. Despite his short career as a novelist, Eric is considered an important author during the Golden Age. As one reviewer put it, “Rather than the artificial and outsize master sleuths and super crooks found in so many classic mysteries from the Gold Age, Drax’s novels concern police who are not endowed with supernatural powers and crooks who are also human.” Two of his books, Death by Two Hands and Tune to a Corpse were published in the United States, and received excellent reviews. When he died he left an unfinished manuscript Sing a Song of Murder, and his wife, author Hazel Iris Wilson completed the book, it was published in 1944.